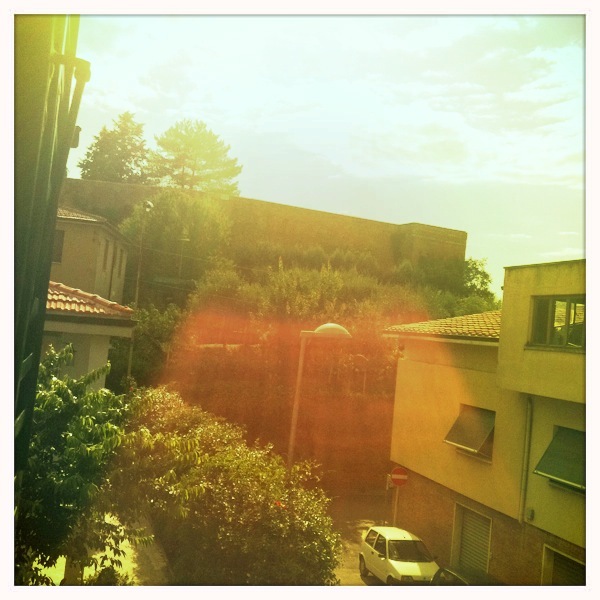 My post starts off in Italy (image above: view from Zoe’s apartment) , where I was two summers ago with two of my most favorite people Zoe and Christine. Me and Christine went to Italy to vist Zoe who was working and living in Sienna for six months (#luckygirl). Anyway aside from eating our way through Italy (hello twice daily Gelato) we also did some serious beauty product damage, well at least I did. While I was there I found the best toner and the worlds greatest smelling body wash at of all places the regular grocery store. Either way, my skin was saved with the toner and the bodywash was beyond devine and anything I have used since pales in comparison. Cue the inevitable hunt I went on when each of these products ran out. I initially went to Smallflower to try to find the products, I did find the toner, but not the body wash, that epic void has since not been filled. Either way it never occurred to me that there was a brick & mortar store for Smallflower. That was until I found myself living in Chicago. I was catching up with an old friend, Silvia Liu, when we naturally started talking about beauty products, and she was like oh hey, you should check out Merz Apothecary. Merz was already on my list but Silvia made the connection, their online presence was Smallflower! I love Smallflower but hate the web design so I was not that motivated to get myself quickly to Merz and anyway I don’t know the city very well so I thought it would turn into a Lord of the Rings vision quest that would take half my day. I was wrong, I was wrong, I was wrong. The store is old time apothecary without being gross, wood cabinets, old timey-ness, just complete love. Imagine Bigelow Pharmacy but BETTER. The sheer vastness of the product selection and the well curated stock got my knees to buckle. Seriously. If you find yourself in Chicago, you have to check this place out. While I was there I found my toner in real life, but no bodywash, but it didn’t matter because the selection of intriguing body washes was so vast that I quickly forgot about the one that stole my heart. And as always as a bonus, most of the products are natural and if they aren’t marketed that way they are made in Europe which, if you read my post on Product Truth, you would know that the EU has banned over 1,000 nasty ingredients from beauty products, so I don’t even have to worry. Needless to say, I’m a happy girl! Lucky Girl! That area is so cute.